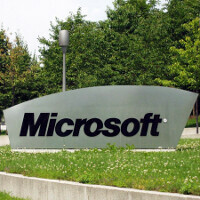 Microsoft's smartwatch getting tested in New York City? In a report published on Sunday, someone reported seeing the Microsoft smartwatch being tested in New York City. According to the source, when he approached the man testing the timepiece, he at first denied that it was the Microsoft wearable, saying instead that it was a China based fitness band. Finally, after being hounded, he later admitted that it indeed was Microsoft's watch he was testing. According to the source, the Microsoft smartwatch resembes the Samsung Galaxy Gear Fit. That means it has an elongated screen. And the flat display and curved backplate helps it fit tightly on the wrist. With Metro-styled icons, and a regrettably low resolution screen, the timepiece supposedly contains a number of sensors including a heart rate monitor, gyroscope, accelerometer and GPS. The device is said to use Bluetooth LE to connect to other devices. Microsoft wants the Surface watch to support iOS, Android, Windows Phone 8, Windows, OS X, and Xbox One. It's an ambitious project to be sure, and while we'd like to think that the device was being tested in New York City, we have to take this with the proverbial grain of salt. With E3 coming up, there is a possibility that we just might see Microsoft introduce its smartwatch real soon. From Tablets, smartwatches, smarthomes and UI design Microsoft has been ahead. Execution has always been there problem. Good to see them getting their game together. Multiple platforms? Way to go Microsoft. Just another typical Alan F. article that ends with a question mark. Classic. Looks like it ended with a period to me. Thes3 smart watches are focusing to much on health. Give me a smart watch that deals with things I use such as email, text, phone calls, apps etc. The gear does a little of that but need some development. Now this is what I call a true cross platform smartwatch :). Good on MS. Stay this course, no limits brings excitement. an Earlier web report has stated that Microsoft put in a patent for a smart watch in 2012 . I guess they finally decided to make what they got a patent on.